This buoy has been hauled out for the season. The Experimental Program to Stimulate Competitive Research (EPSCoR) is a National Science Foundation program directed at states that have historically received lesser amounts of research and development (R&D) funding. Through this program, states develop partnerships between their higher education institutions, industry, government, and others to effect lasting improvements in their R&D infrastructure, capacity, and national competitiveness. Maine EPSCoR at the University of Maine oversees and implements the state's NSF EPSCoR program. SEANET was established under a five-year award (2014-2019) to help understand how we can create more sustainable coastal communities and ecosystems through a deeper understanding of how these systems interact with and influence each other. This multi-institutional, public-private partnership led by the University of Maine in collaboration with the University of New England and other institutions in Maine uses Maine's 3,500 mile coastline as a living laboratory to study physical oceanography, biophysical, biogeochemical, socio-economic, and policy interactions that have local, bioregional, national, and global implications. The project applies a new focus of looking at Maine's inshore waters as aquaculture growing areas. 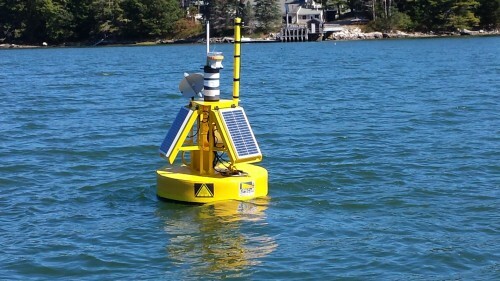 Part of the research and education program involves developing oceanographic models of factors which control the productivity of Maine's coastal waters in three bioregions (southern, central and down east Maine), supplemented by hourly monitoring of biophysical parameters in 6 coastal regions through LOBO buoys in the more sheltered waters, and at the mouths of the bays in more exposed conditions using buoys developed at the University of Maine. 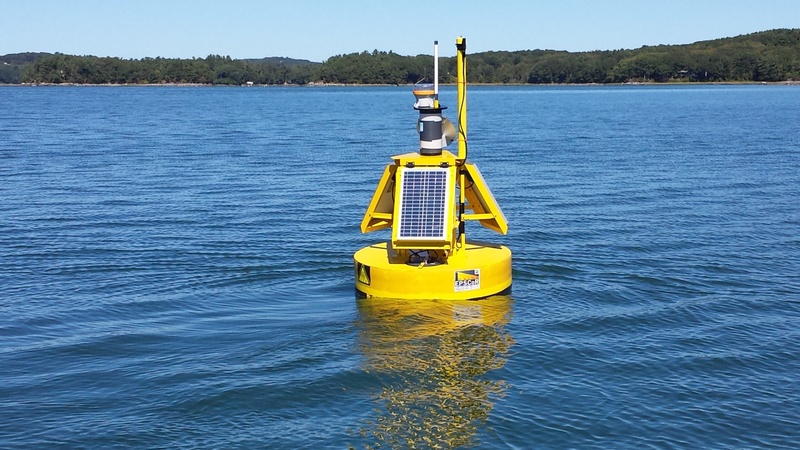 During the fall of 2015 and throughout 2016, 2 LOBO and 1 U Maine buoys are deployed in the Damariscotta River estuary (upper and middle LOBO, outer U Maine) and the Saco Bay region (Saco River and Scarborough Marsh LOBO, Saco Bay U Maine). During 2017, buoys were moved to sites in Casco Bay (New Meadows River upper and middle LOBO, outer U Maine), the Bagaduce River (upper LOBO, outer U Maine), and the upper Damariscotta River estuary (LOBO). During 2018, buoys are deployed in Machias Bay (eastern LOBO and western U Maine), Cobscook Bay area (South Bay and Western Passage LOBO, Eastport shipping channel U Maine), and the upper Damariscotta River estuary (LOBO). The SEANET buoy network is supplemented with other smaller buoys and sensors involving students, citizen monitors, fishermen and aquaculturists. This streaming buoy data is provisional subject to calibration. Damariscotta 1 LOBO in the upper Damariscotta River where there is extensive cultivation of the American Oyster, Crassostrea virginica, and water depth of approximately 5 m at low tide. Damariscotta 2 LOBO in the middle Damariscotta River near the University of Maine Darling Marine Center and water depth of approximately 12 m at low tide. This activity is supported by National Science Foundation award #IIA-1355457 to Maine EPSCoR at the University of Maine.